I've started a whole lot of reading on the topic of Soviet spies, defectors and what they got up to 'behind enemy' lines. 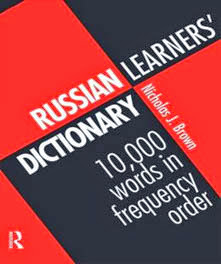 The books i'll be reviewing in coming posts will mainly be about ex-KGB, OGPU members that defected, in other words, those with more of an an inside take on what was going on. 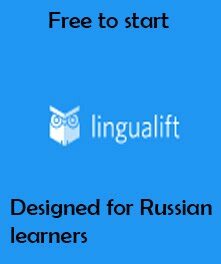 The first one i started with was In Stalin's secret Service by Walter Krivitsky, the Soviet chief of Military intelligence in the 30s, based in the Hague and one of the first and highest ranked defectors. The book is essentially made of of long articles that he wrote after his defection, blended in with an expert author overview and speculation at the end. Each article, or chapter starts with a pretty self-explanatory heading - Stalin's pact with Hitler, the OGPU (precursor to NKVD and later KGB), why he defected and so on. For anyone interested in Soviet intelligence gathering and Stalin's purges, this one is a must. The reader gets a view of the Kremlin's inner circle from one of its members, along with the interesting and the political manipulations that were happening. 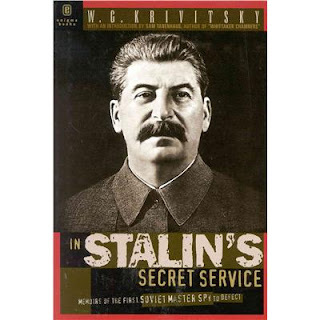 Krivitsy, the author, was officially the head of Soviet military intelligence, but he was involved in spying, agent recruitment and putting together crack squads for assassinations as well as other interesting operations. I would say it had to be how the Soviet Secret services used (especially) the Communist International to mobalize agents for missions, destabliize and spread the communist message. What seemed like a American communist group, friends of Russia group etc was actually something almost totally financed and controlled by the Kremlin. So what happened to Krivitsky? He eventually decided to defect after one of his close friends and a devout communist agent was labeled a traitor. After his friend escaped the first assassination attempt (this was during the great purge from 1937-38), another agent code named spyglass approached Krivitskhy and wanted him to join the execution squad. Since Krivistsky had some under suspicion for his friendship with a 'traitor', this invitation was also a test - one that he failed since he refused outright to be a part of it. Eventually they got Krivitsy's friend and fellow agent and K was recalled to Moscow - something which meant certain doom for him and his family. This was what prompted him to defect. He managed to publish a whole series of extremely damming articles on Stalin's policies, the true state of affairs in the Soviet Union at the time, and the way the OGPU set up and used vast agent networks in other countries. As he predicted, the OGPU got him in the end too with something made to look like a suicide. A very interesting read and quite a rare, inside look at what was going on in the Soviet Union in those crucial years just before the war. 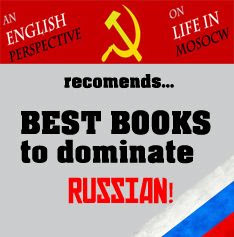 You should check this book out if you are a Soviet history fan or, enjoy books about spies and secret services and whatnot.